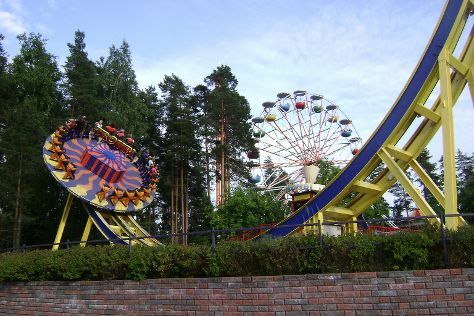 Kick off your visit on the 18th (Thu): see the sky in a new way at Sarkanniemi Theme Park. Get ready for a full day of sightseeing on the 19th (Fri): take in the spiritual surroundings of Tampere Cathedral, examine the collection at Vapriikin Museokeskus, then test your problem-solving skills at popular escape rooms, then look for all kinds of wild species at Hatanpaa Arboretum, and finally stroll through Pyynikki Park and Observation Tower. To find maps, where to stay, photos, and more tourist information, refer to the Tampere day trip planning app . Tel Aviv, Israel to Tampere is an approximately 15.5-hour flight. While traveling from Tel Aviv, expect little chillier days and much colder nights in Tampere, ranging from highs of 24°C to lows of 13°C. Finish your sightseeing early on the 19th (Fri) to allow enough time to take a train to Kuopio. Kuopio is a city and a municipality located in the region of Northern Savonia, Finland. On the 20th (Sat), take in panoramic vistas at Puijo Tower, get a sense of history and politics at Kuopio Market City Hall, then contemplate the waterfront views at Valkeisenlampi, then immerse yourself in nature at Snellman Park, and finally test your team's savvy at popular escape rooms. To find traveler tips, ratings, maps, and more tourist information, you can read our Kuopio trip planning app . Traveling by train from Tampere to Kuopio takes 3.5 hours. Alternatively, you can drive; or do a combination of train and flight. In July in Kuopio, expect temperatures between 24°C during the day and 15°C at night. Wrap up your sightseeing on the 20th (Sat) early enough to drive to Savonlinna. Start off your visit on the 21st (Sun): explore the wealth of natural beauty at Linnansaari National Park. Get ready for a full day of sightseeing on the 22nd (Mon): explore the historical opulence of Olavinlinna Castle, take in the spiritual surroundings of Kerimaki Church, see the interesting displays at Lusto - The Finnish Forest Museum, then explore the striking landscape at Punkaharju Ridge, and finally contemplate the waterfront views at Siikalahti Wetland. 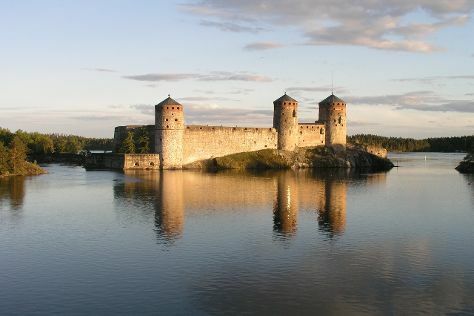 Ask Inspirock to suggest an itinerary and make planning a trip to Savonlinna fast, fun, and easy. Getting from Kuopio to Savonlinna by car takes about 2.5 hours. Other options: do a combination of train and bus; or take a bus. 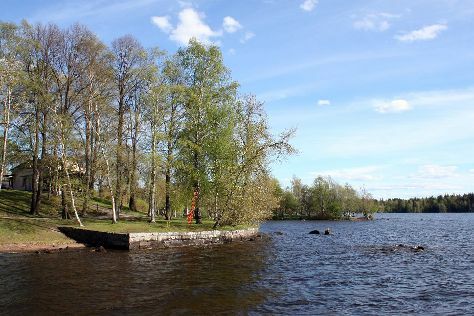 In July, daytime highs in Savonlinna are 24°C, while nighttime lows are 13°C. Finish your sightseeing early on the 22nd (Mon) to allow enough time to drive to Lappeenranta. 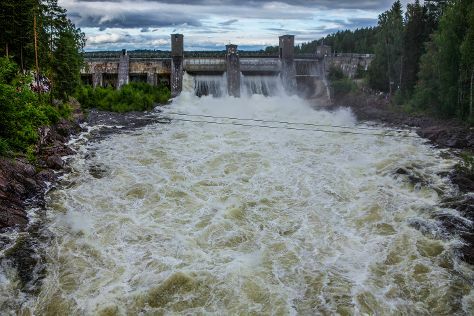 Kick off your visit on the 23rd (Tue): explore the activities along Saimaa Canal, find something for the whole family at Angry Birds Activity Park, and then admire the sheer force of Imatra Waterfall. For traveler tips, more things to do, ratings, and tourist information, go to the Lappeenranta itinerary planner. You can drive from Savonlinna to Lappeenranta in 2.5 hours. Alternatively, you can take a train; or take a bus. In July, plan for daily highs up to 24°C, and evening lows to 15°C. Finish up your sightseeing early on the 23rd (Tue) so you can catch the train to Kouvola. Kouvola is a town and municipality in southeastern Finland. On the 24th (Wed), delve into the lush surroundings at Niivermaki Nature Conservation Area and then get in on the family fun at Tykkimaki Amusement Park. To see more things to do, traveler tips, photos, and more tourist information, read our Kouvola online trip itinerary planner . Traveling by train from Lappeenranta to Kouvola takes an hour. Alternatively, you can drive; or take a bus. In July in Kouvola, expect temperatures between 24°C during the day and 14°C at night. Wrap up your sightseeing by early afternoon on the 25th (Thu) to allow time for travel back home.